Pula is a good place to settle in for a few days and use as a base for day trips throughout southern Istria. (See Pula on a map of Istria.) To visit several places in a day, it's helpful to rent a car even though buses in Istria are frequent. Keep in mind that Istrian roads are mostly two-lane motorways and thus the speed limit is 90km/hr. This national park lies close to Pula's coast. A number of local agencies organise excursions or you can get a boat directly from Fazana. Take a healthful walk along Opatija's beautiful Lungomare. 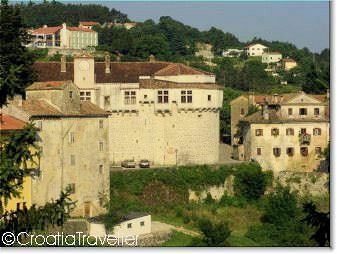 See the famous "Pazin Chasm"
Site of the Euphrasian Basilica, a World Heritage Site. Istria's most beloved fishing port. Site of the peculiar Vodnjan mummies.